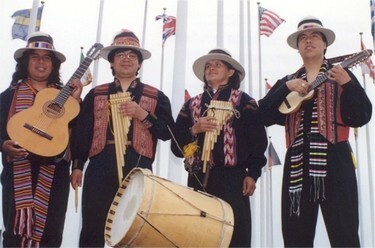 Wide variety of South American instruments. Pan Pipes, Bamboo flute, a small ten stringed ukulele, drums. A charming and unique experience all with traditional Andean costume.